SACRAMENTO, Calif. /California Newswire/ — Today, Calif. Assemblymember Sabrina Cervantes (D-Corona) introduced a bill to help military families. The bill, Assembly Bill 226, would require the state Commission on Teacher Credentialing to give priority to applicants who are spouses of active United States Military service members. According to a 2012 survey of military families by the United States Department of Defense, the most common occupation amongst military spouses is teaching. More than 1 in 20 military spouses are teachers for children in the K-12 range, and more than 1 in 100 military spouses are post-secondary teachers. The ability of military spouses to find work remains a real issue, as the unemployment rate for military spouses is 23 percent, according to a 2016 survey by the Department of Defense. AB 226 will next be referred to an Assembly policy committee by the Assembly Rules Committee. 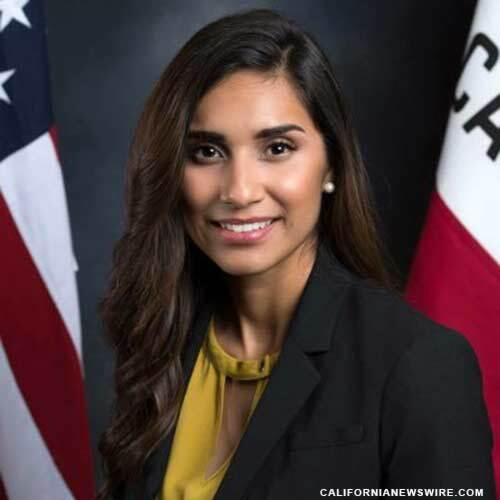 Sabrina Cervantes represents the 60th District of the California State Assembly, which encompasses the communities of Corona, Eastvale, Jurupa Valley, Norco, and a portion of the City of Riverside.